Death in space: The ethics of dealing with astronauts’ bodies. So goes the speech commemorating the deaths of Neil Armstrong and Buzz Aldrin following the first moon landing. Written earlier in the year by William Safire, this requiem was created as something of a contingency plan in the highly probable event that the brave souls aboard Apollo 11 became stranded on the moon, left for dead in the Sea of Tranquility. Happily, this speech was never read publicly and only resurfaced in 1999 as an interesting historical footnote. Now that there is a serious push for manned space expeditions beyond Earth’s orbit for the first time since the end of the Apollo era, space agencies and private ventures are increasingly forced to grapple with all the novel potential disasters that exploring new frontiers entails. Astronauts already spend extended periods of time on the International Space Station—the record is almost 438 days, set by a Russian cosmonaut in the mid-’90s, and U.S. astronaut Scott Kelly just embarked on a yearlong stay in space —but a trip to and from Mars would take about 14 months (not including time spent on the planet), and there wouldn’t be other visiting spacecraft that could bring an ailing astronaut (or dead body) back to Earth. While we probably won’t see boots on Mars for at least another 15-20 years, those concerned with planning the early missions are already beginning to consider the host of unique methodological and ethical questions that such a journey will surely entail. How should crew members deal with a colleague’s death on long duration missions? At what point do mission prerogatives outweigh considerations of an individual astronaut’s safety? Is it OK to use the bodies of Martian settlers’ corpses for composting? If NASA learns that a mission is on the precipice of disaster, should it inform the crew members? These are just a few of the questions that must be dealt with prior to launch and keep people like Paul Root Wolpe awake at night. Wolpe, a professor at Emory University and senior bioethicist at NASA, deals with all kinds of unexpected issues pertaining to manned space travel, including the challenges posed by death and dying in microgravity. In theory, dealing with extraterrestrial fatalities shouldn’t differ much from handling deaths in some of the more remote regions of Earth, such as Antarctica or Chile’s Atacama Desert, both of which have been used as space-analog research environments. According to Wolpe, however, deaths in the void boast one fundamental complication not found on Earth-based analogs: the nature of the living crew members’ responsibility to the deceased. For instance, if someone dies six months into a multiyear mission to Mars, are the astronauts expected to store the body for burial back on Earth? While it would be simple to suggest that we start incorporating some sort of mausoleum into spacecraft design, the costs would be rather prohibitive. At the moment, it costs about $10,000 for each pound a space agency puts into orbit around Earth, which means that something as simple as storing some coffins on board a spacecraft could amount to a multimillion-dollar proposal. Then there’s the psychological impact that such a morbid use of cabin space might have on the surviving astronauts. Nonetheless, NASA has attempted to address the problem of storing bodies in space. In a conceptual study in 2005, the agency commissioned Promessa, a Swedish company that specializes in organic burial solutions, to advise on engineering spatially economic astro-coffins. The result was the Body Back, which is essentially a vibrating Gore-Tex sleeping bag for the deceased. The Body Back makes use of a process called promession, an ecologically friendly method of burial developed by biologist Susanne Wiigh-Mäsak, who founded Promessa in 2001 to capitalize on her idea. The promession process was slightly modified for the Body Back to meet the requirements of space travel, but the core ideas remain the same: First, a body is placed in an airtight bag and exposed to the freezing temperatures of space. (On Earth, this freezing is accomplished by placing the body in liquid nitrogen at a temperature of about minus 200 degrees Celsius.) After about an hour, the now-frozen body is brought back into the cabin from the airlock and vibrated at a high frequency, effectively shattering it and reducing it to a fine powder. Subsequently the powder is dehydrated, resulting in roughly 50 pounds of body dust. This dust is then stored in a container outside the craft until it is time to re-enter Earth’s atmosphere, at which point it would be retrieved and stored in the cabin for the few minutes it takes to descend to the Earth’s surface from space. As macabre as this process may sound, it is really the only realistic method for organically dealing with bodies in space. Nonetheless, promession still seems like a lot of effort when one might simply strap the body to the craft and call it a day. According to Wiigh-Mäsak, however, that would raise a host of other issues—chiefly that there would not be much of a body left after re-entry. It is this latter scenario that Wolpe finds most worrisome, although in a slightly different context. He’s not concerned with rogue bodies finding shelter on Saturn so much as the intentional disposal of bodies on early missions to Mars. At this point in our exploration of the red planet, a massive amount of intensive research is being conducted to understand the planet’s microbiome—was there ever life there, and if so, what was it like? Disposing a body on Martian soil would probably introduce extraneous variables into further probes of the planet’s microbial life (or lack thereof), making it very difficult to determine whether subsequent discoveries are of organisms native to the planet or introduced by way of decaying earthlings. If humanity is serious about establishing a permanent presence on Mars, Wolpe concedes that at some point the burial of bodies, and environmental contamination, becomes inevitable. This, however, is a long way off, and in the interim the disposal of bodies for the first Martians (at least, human ones) raises interesting methodological questions for those planning initial missions. A radical idea is that the bodies could perhaps be used as fertilizer for the Martians. Certain colonization models, such as those proposed by NASA and Mars One, involve Martian colonists growing their food locally rather than importing it from Earth, which would require fertile soil. But neither Mars One nor NASA has made any suggestions that body-based fertilizer will ever be formally incorporated into mission design. (That doesn’t preclude using human waste however, which has been favorably discussed as a mission component.) This is probably for the better, according to Wolpe, who is skeptical regarding the feasibility of using bodies for fertilizer for both biological and social reasons. A further, far more perverse concern for future astronauts and their Earthbound commanders is whether to inform the astronauts of their impending demise should Houston learn that the astronauts are in a situation where their deaths are unavoidable. This very situation arose in 2003 with the Columbia shuttle crew, who were re-entering Earth’s atmosphere with a damaged wing. Ultimately, the decision was made not to inform them of the potential for disaster, although this may have been more the result of lack of certainty rather than any steadfast ethical policy, according to both Wolpe and Wayne Hale, a NASA flight director at the time of the disaster. In Wolpe’s opinion, choosing such recourse to action in the future would be entirely out of step with astronaut ethics. “I think [informing them about impending disaster] is part of what it means to be a professional in those circumstances, to give them the dignity of letting them know they’re going to die and maybe they can get some last words out to their loved ones,” he said. This also raises questions of what to do in the event that an astronaut becomes terminally ill during a mission, or as is more likely the case, sustains a life-threatening injury. A mission to Mars will cost billions of dollars and have required decades of effort from people around the globe—would astronauts have an obligation to turn back when one of their own discovers a lump? This is largely a question of priorities set by NASA and other space agencies. If astronaut safety is priority No. 1, the question is easy. But when astronaut health and safety only becomes one of a number of competing priorities, such as mission success, it is less clear what should be done. In Wolpe’s opinion, this ambiguity in mission priorities is something NASA is going to need to sit down and discuss ahead of long duration space flight. Astronauts at NASA are civil employees, which means there is no court-martial if they refuse to obey orders from command—at worst, their flight permissions will be revoked. So on a mission to Mars, where communications between the spacecraft and mission control can carry up to a 20-minute delay, these decisions between life and death will often devolve onto the astronauts themselves. Unfortunately for NASA, this seems to be a decision that no amount of training can ever completely prepare you for. The good news is that there have been only 18 deaths during space flights, a small fraction of the more than 500 people who have gone into low Earth orbit or beyond in the past half-century. All of those deaths have happened either while a spacecraft was lifting off or returning to Earth. 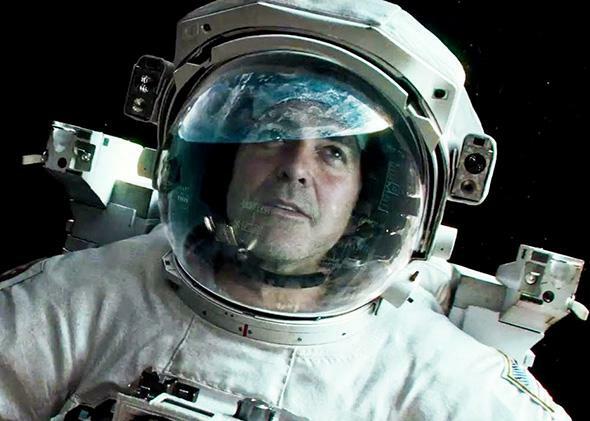 While the space fatalities of the future are unlikely to be as dramatic (or physically impossible) as George Clooney’s death in Gravity, they are likely to retain the overwhelming sense of tragedy that is felt as Sandra Bullock watches her partner drift into the cosmos. Astronauts have left behind friends, spouses, parents, and children to risk their lives exploring the final frontier for the sake of our species. In this sense, the experience of losing a loved one and the grieving process that follows is not unique to space and is all the more reason to give special attention to the impact death and dying has on space travel in the years leading up to the next giant leap for mankind.